About to enter its 27 year, Flickerfest is Australia’s number one international short film festival. As a result, it is also Australia’s leading Academy® Award supported festival. To add to its list of credentials, Filckerfest is also recognized by numerous other world famous film festivals that include BAFTA and Sundance. The festival was founded specifically to promote and celebrate both Australian and International short films. The organizers recognized the inherent need for national events in which people can come together and celebrate art. They set up Flickerfest to do just that. Since its beginnings, the festival has grown in size and popularity, something which shows no sign of slowing. The Flickerfest festival takes place over 10 days at Bondi Beach every January 2017. The organizers added a wonderful new feature that promises to wow film lovers from all over Australia. Every year after the festival finishes, selected highlights from the festival will go on a nationwide tour. This year, the organizers have promised to show selected films in over 50 venues around Australia. This will be known as the Flickerfest national tour. This tour will last 5 months from January until May and is aimed at generating an even bigger audience for these short films. 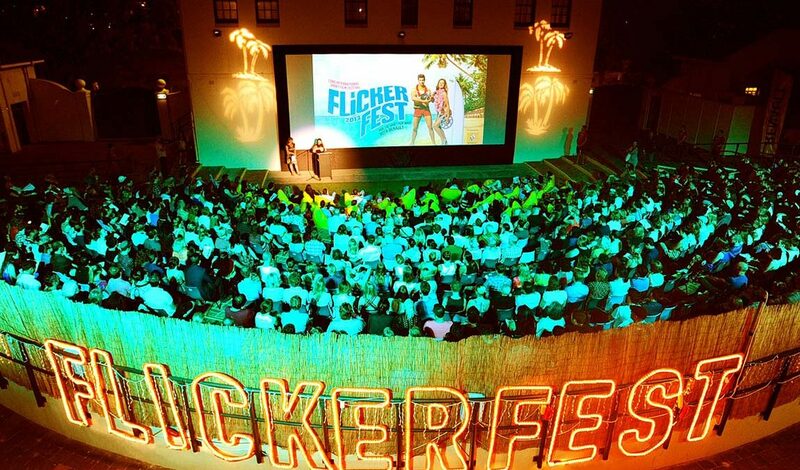 Celebrating its 27th birthday in 2018, Flickerfest will screen its films under the stars at the iconic Bondi Beach. It is a 10 day cultural feast, and attracts film lovers from all over the globe. Audience levels to the Flickerfest in 2017 were the highest ever, a healthy sign to just how big the 2018 festival is going to be. This year’s Flickfest will comprise of hundreds of short films that will be shown under 5 International programs and 7 Australian programs. All of these programs will be part of the competition awards that will take place on the final night. 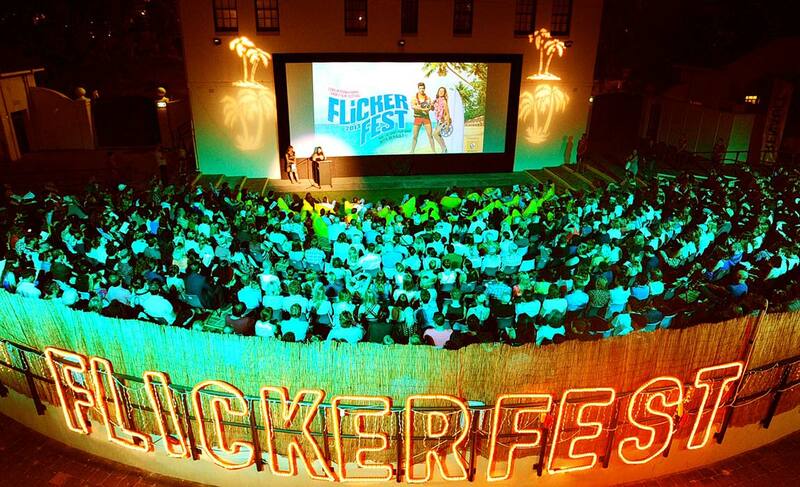 So if you are a short film lover, and want to see not only the very best that Australia but the world has to offer, then Flickerfest in 2018 is for you. The good news is that you are free to submit your film for entry into the 2019 film festival as soon as entries open. This will occur straight after the 2018 film festival finished in the end of January. How do I know if my film will qualify? All films must be in spoken English or alternatively, have English subtitles. Note: The International awards for best short film, best short animation and best short documentary are all Academy Award accredited. Note: The International award for Best Australian Short Film is Academy Award accredited. Winners from all award categories will gain cash prizes that last year was worth in excess of $40,000 AUD in value. Other prizes will also be awarded to the winners that are designed to help them get further exposure for their films. The Flickerfest International Short Film Festival will take place from Jan 12 – Jan 21, 2018, in Bondi Beach, Sydney, Australia. For tickets, follow this link.